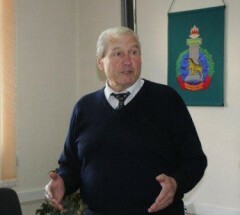 Boris Mintseva, president of the Bar Association of the Primorsky Territory, RIA «VladNews» met at Theater Square, near the Theater Square, where the monument to Vladimir Vysotsky. Office Bar Association and is close to lunchtime agency staff go around singing songs to listen to the monument. As noted by Boris Mints, 8 September, he will come to the polls, because the fate of his native city chief counsel of Primorye indifferent. "I want the city to develop further. I really liked the project VKAD, I see it in the future in concrete materialization of miles of roads "- said Boris Mints. APPC president said that he always goes to the polls without missing one - neither the city nor the regional or federal. "I do not want to choose the future of Vladivostok without me! So I'll go vote for the future of Vladivostok "- said Boris Mints.